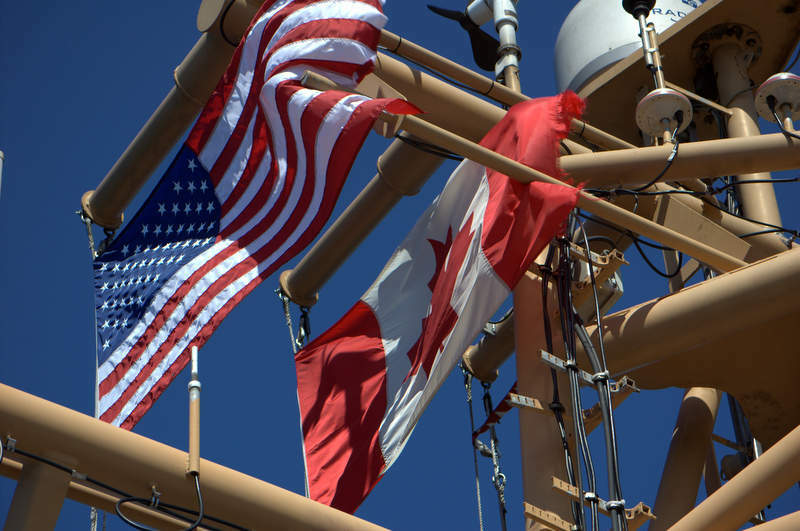 Ships must fly the flag of the nation whose territorial water they are sailing in. 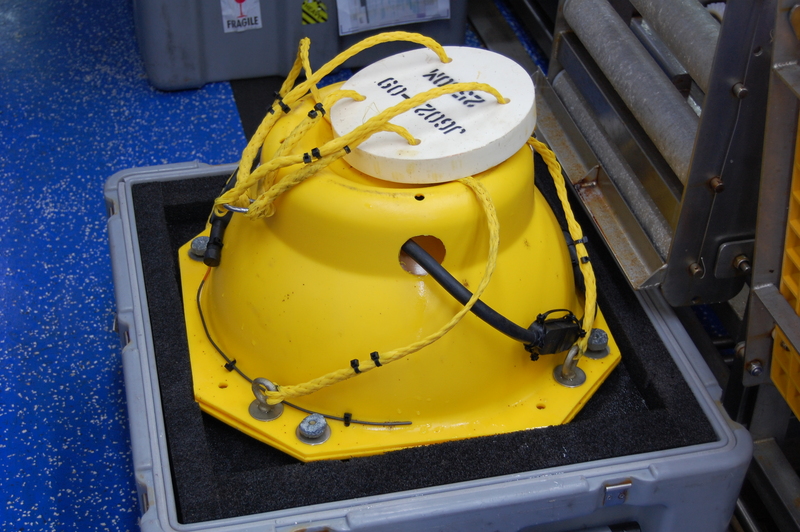 Thanks to a tip from an aerial survey, we are on Georges Basin– the northern edge of Georges Bank. 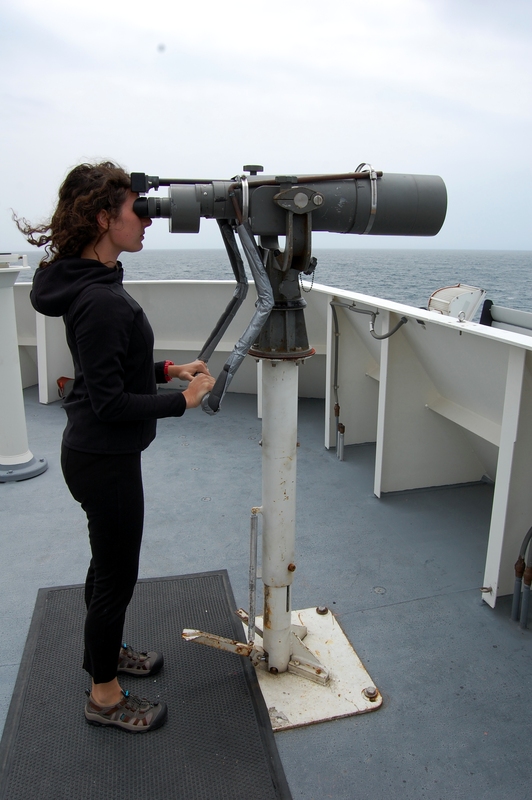 Incredibly, we saw around 30 right whales yesterday! 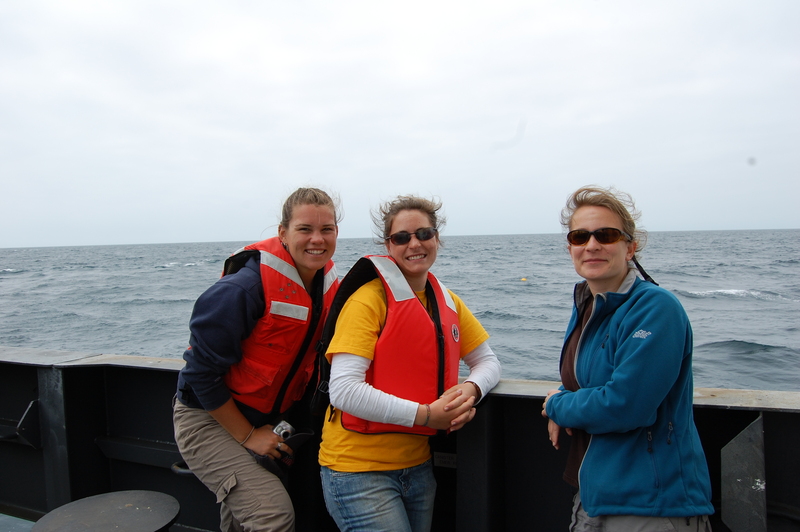 The science crew quickly got to work photo-identifying every right whale we could safely approach. Photo-identification is the process of distinguishing individuals of a species from one another using markings and other cues in photographs of an individual. 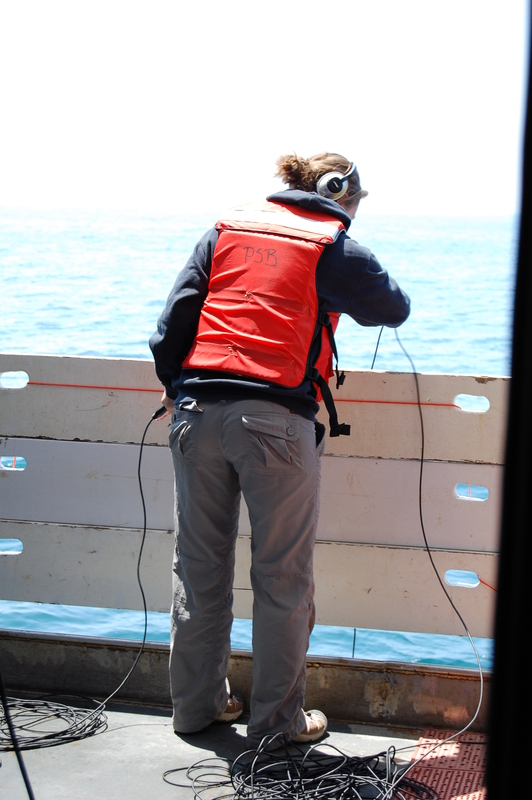 It is possible to identify individual right whales by markings called callosities on their heads, scars on their bodies, and notches in their flukes. 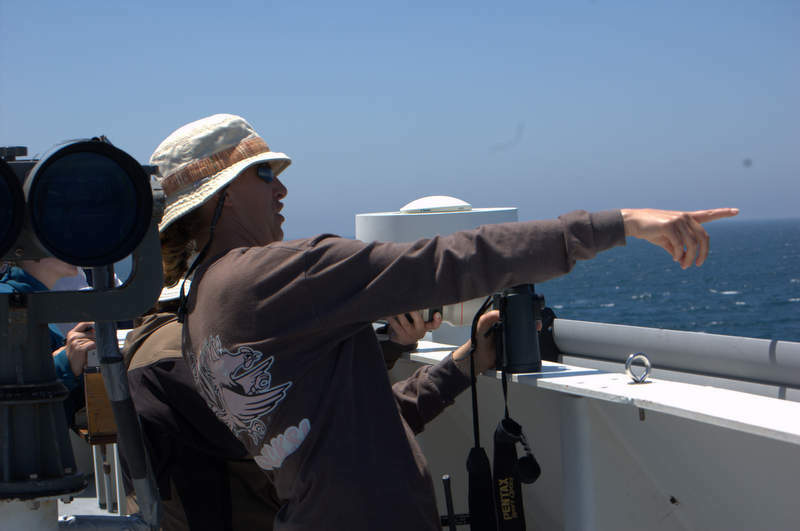 I use a telephoto lens to photograph right whale callosities to use in identifying individuals. 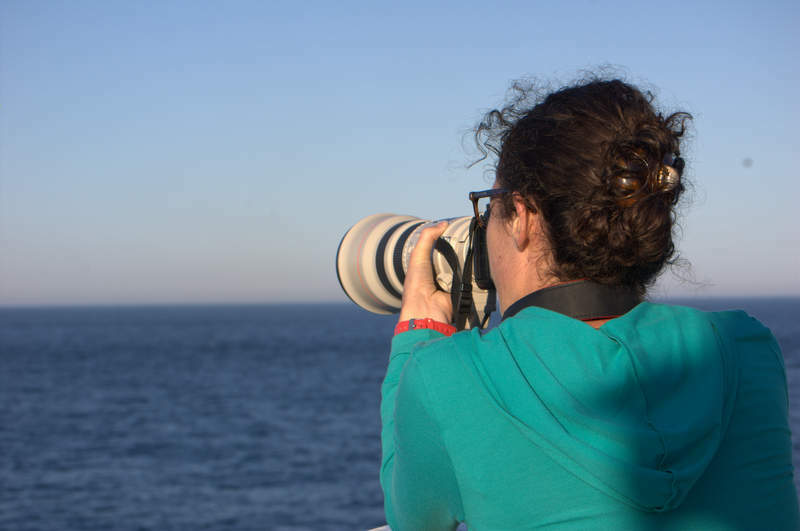 Research analyst Genevieve Davis takes good notes on each whale that is photographed, including frame numbers and identifying characteristics. These are essential when going through the photographs later. 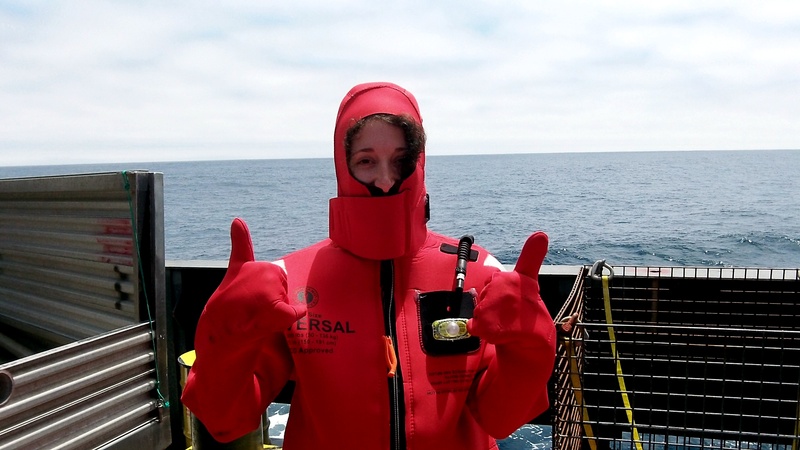 Chief Scientist Allison Henry knows right whales. I was amazed by her ability to recognize individuals by name or number. Callosities are patches of rough skin on right whales’ heads that appear white because of small organisms called cyamids that inhabit these areas (a sort of “whale lice”). Like human fingerprints, each right whale has a unique callosity pattern. In order to photo-ID a whale, photographs of the animal’s head and body are taken with a telephoto lens when the animal surfaces. 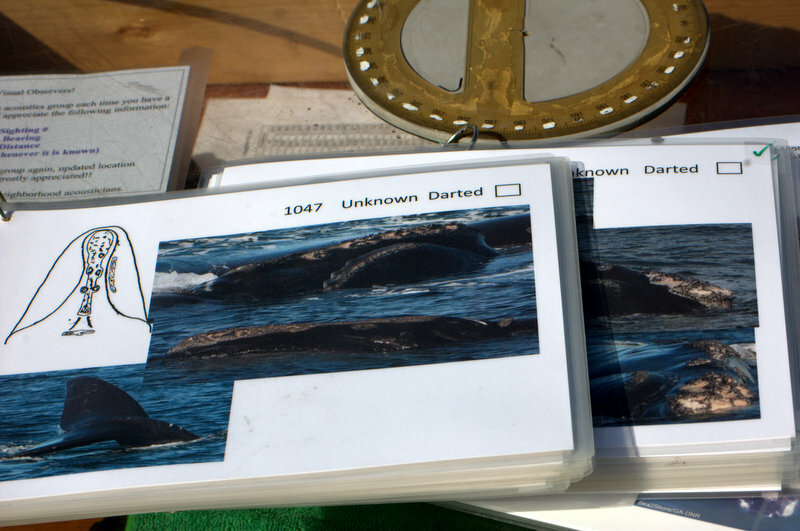 These photographs can later be compared to a catalog of right whale individuals to determine who has been spotted (some whales have names, some have numbers). 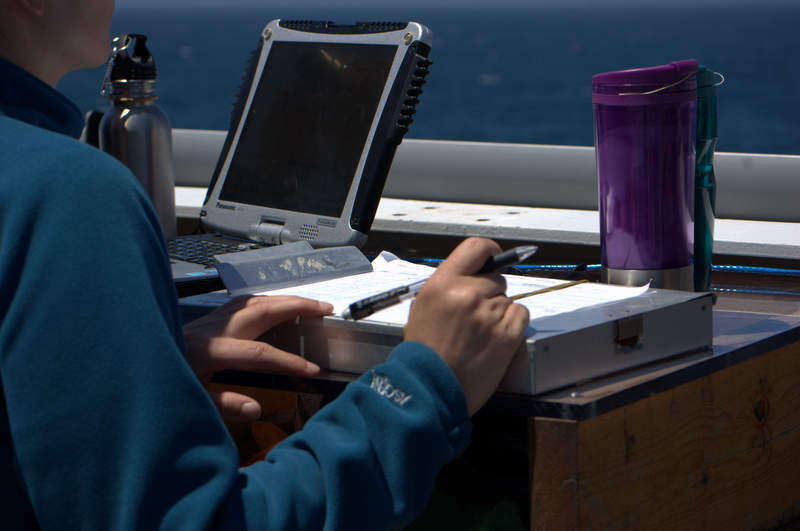 The team also has “cheat sheets,” or laminated cards containing information on certain whales that are of interest or need to be biopsied. 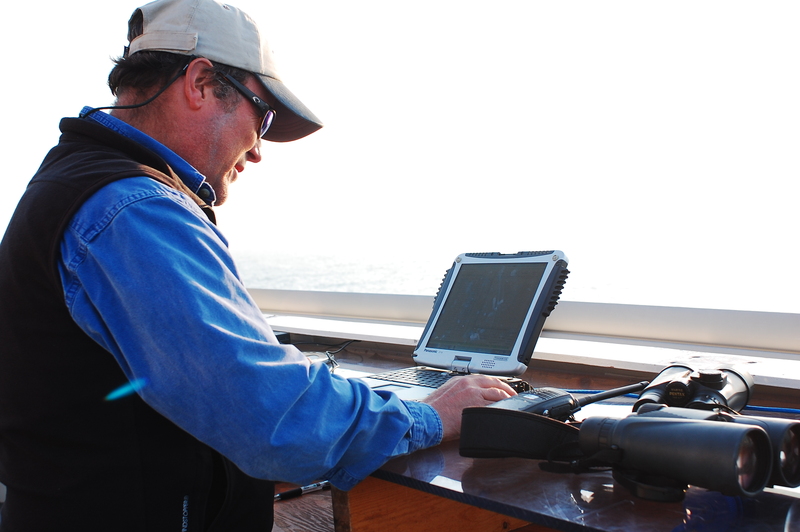 These references can help scientists quickly identify whales in the field that need to be studied further. These sheets contain photographs and drawings of individual whales’ markings and callosities. As one of the most endangered whale species, there are only about 450 individual right whales left. 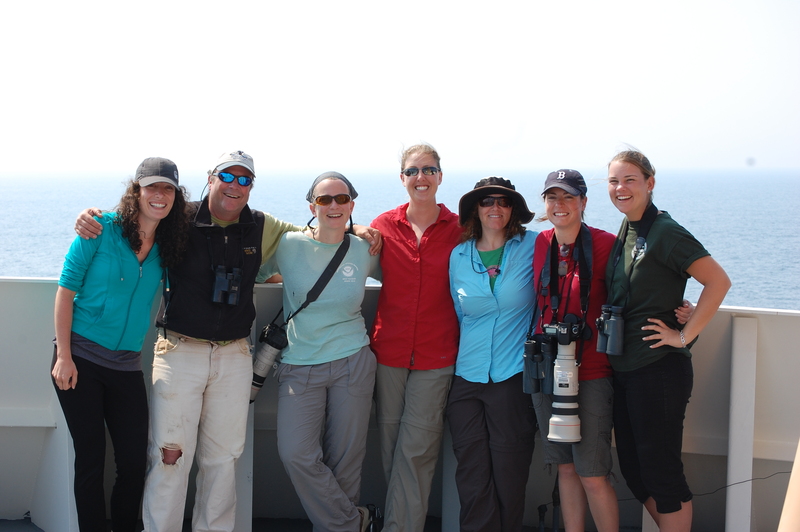 We were privileged to see a little less than 10% of the entire right whale population in one day. This is amazing, but also quite disturbing. Even though right whaling has been illegal since 1937 , right whales still face entanglement from commercial fishing gear and getting hit by vessels. 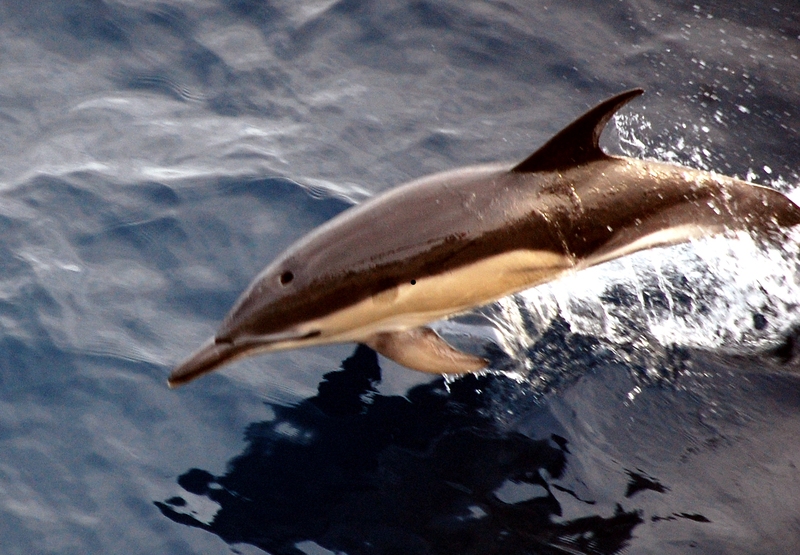 They are particularly vulnerable because they seasonally migrate through world shipping lanes, are relatively slow swimmers, and closely approach vessels. One right whale we encountered, named Ruffian, had huge scars all over his back. I asked Allison the Chief Scientist what happened to him. Below are two videos: the first a shot of the numerous spouts (note the characteristic v-pattern of the spouts) that gives an idea of how surrounded we were by right whales, the other is a short video of a right whale surfacing near our bow. Saludos! My name is Alexandra Keenan, and I teach Astronomy and Physics at Rio Grande City High School. 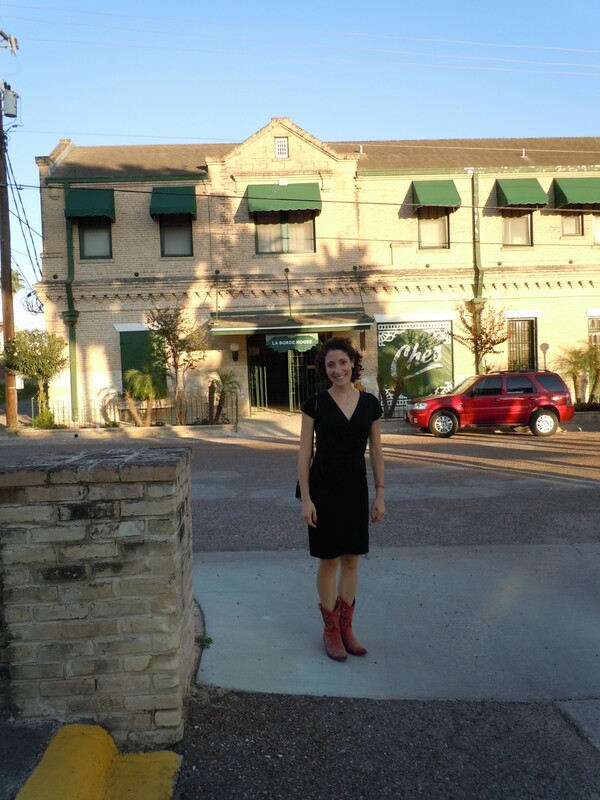 Rio Grande City is a rural town located at the arid edge of the Rio Grande Valley. Because of our unique position on the Texas-Mexico border, our community is characterized by a rich melding of language and culture. Life in a border town is not always easy, but my talented and dedicated colleagues at RGC High School passionately advocate for our students, and our outstanding students gracefully rise to and surmount the many challenges presented to them. 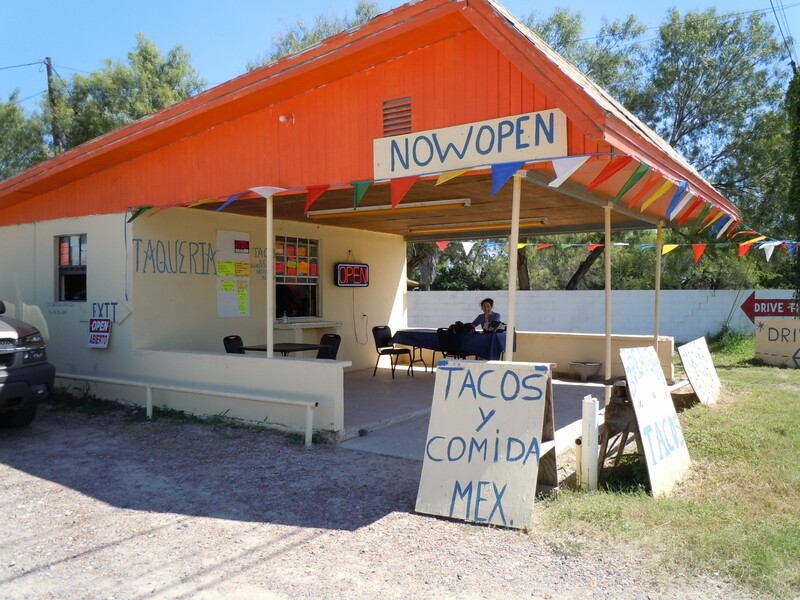 Taquerias dot the highway running through our town– evidence of the binational character of the community. 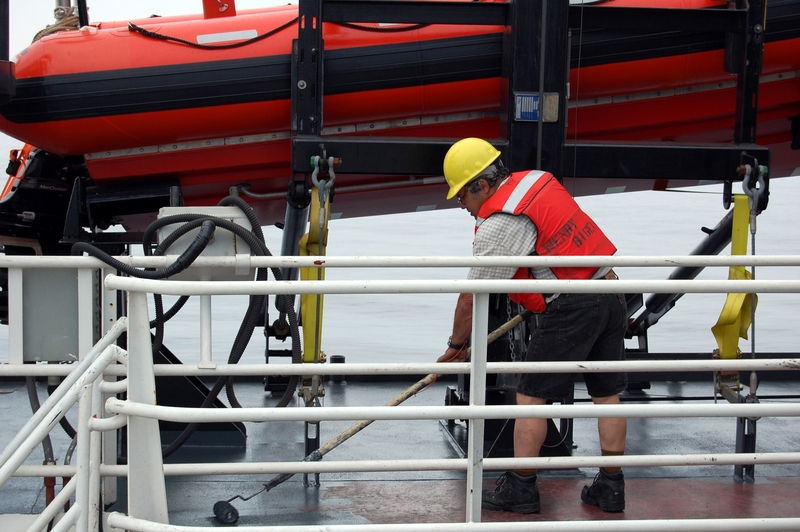 I applied to the NOAA Teacher at Sea program because making careers in science seem real and attainable to students is a priority in my classroom. 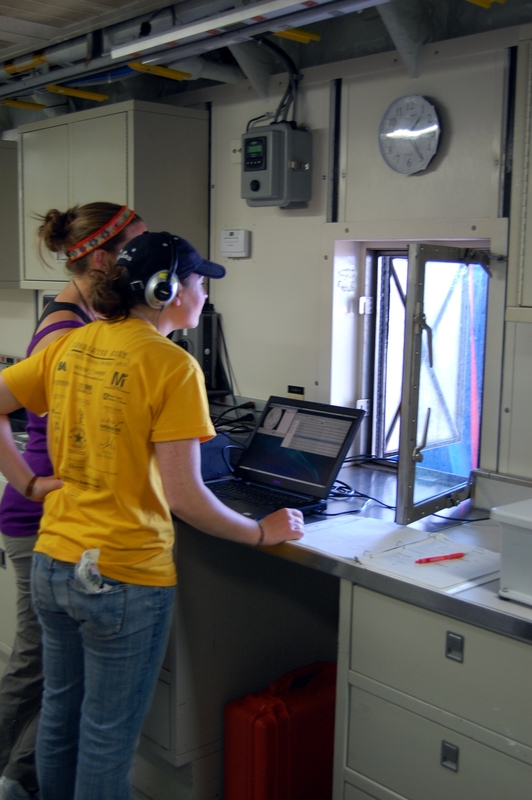 NOAA, the National Oceanic and Atmospheric Administration, provides a wonderful opportunity for teachers to have an interdisciplinary research experience aboard one of their research or survey ships. 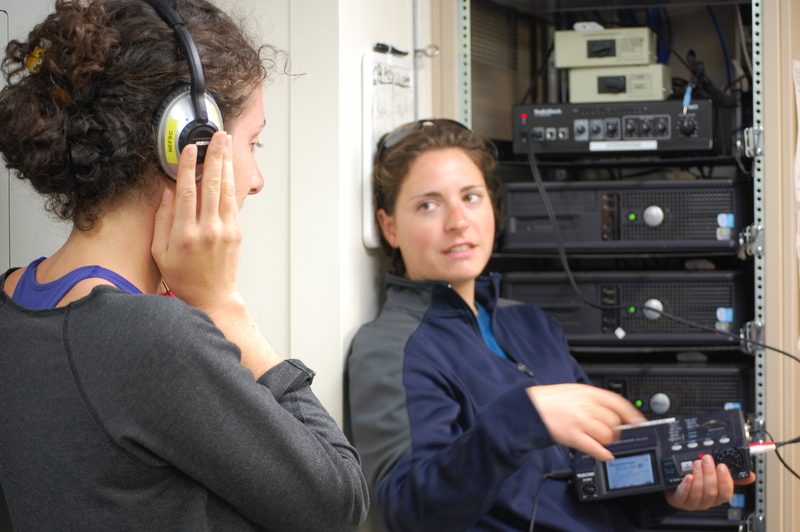 I believe that through this extraordinary opportunity, I can make our units in scientific inquiry and sound come alive while increasing students’ interest in and enthusiasm for protecting our ocean planet. 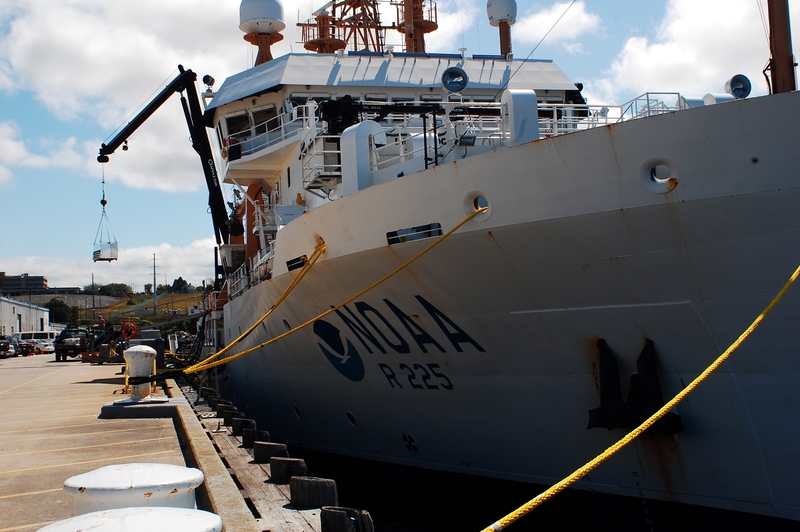 I will also be able to provide my students firsthand knowledge on careers at NOAA. I hope to show my students that there is a big, beautiful world out there worth protecting and that they too can have an adventure. Why would we do all of this? Because North Atlantic Right Whales are among the most endangered whales in the world. 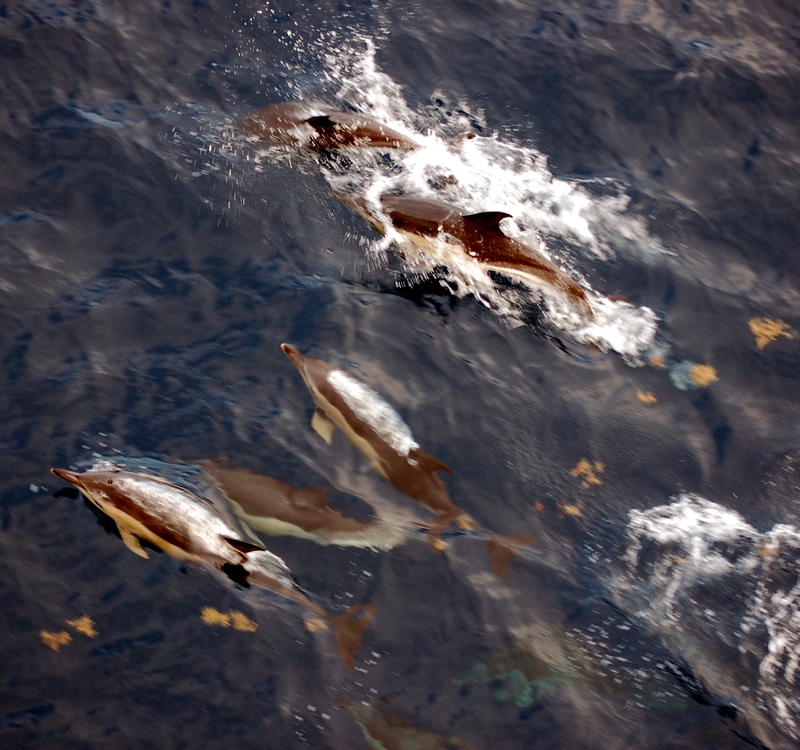 Historically, they were heavily hunted during the whaling era. 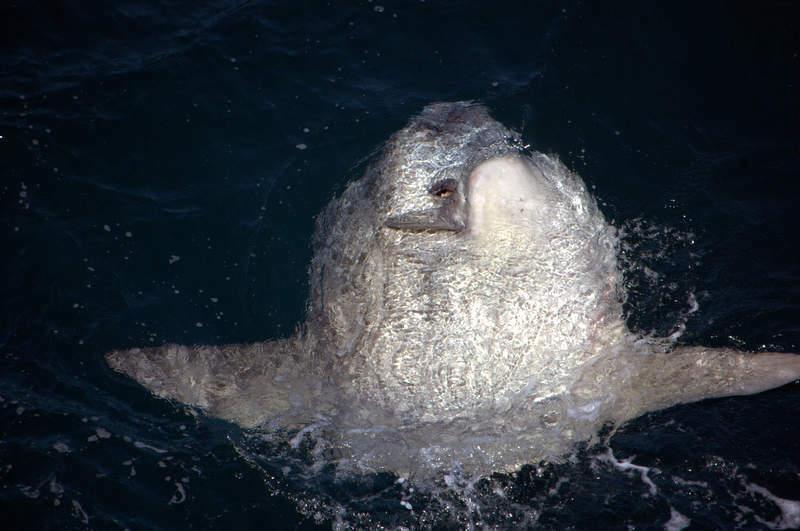 Now, they are endangered by shipping vessels and commercial fishing equipment. 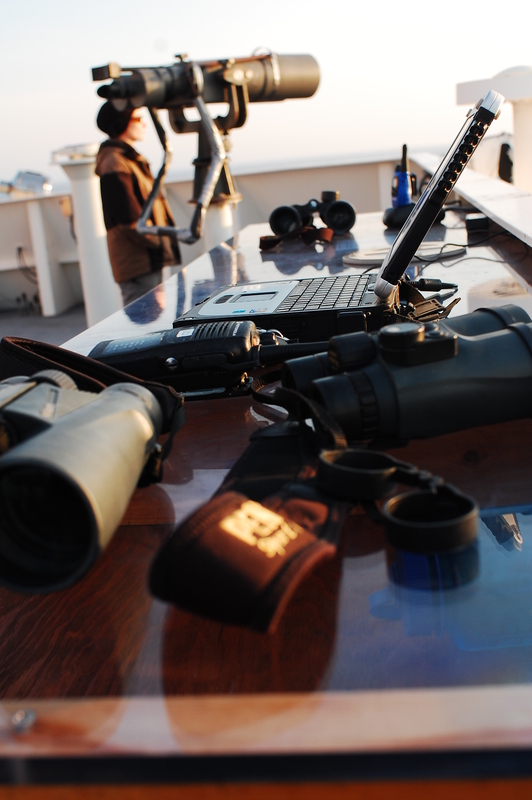 The data we gather and analyze will help governing bodies make management decisions to protect these majestic animals. The next time you hear from me, it’ll be from the waters of the Gulf of Maine!